3 bedrooms, 2 bathrooms, living room, dining room, Jekyll room, family room, kitchen. MW, DW, W/D, 3 Cable TVs, Gas Grill, BED LINENS AND TOWELS PROVIDED, POOL PRIVILEGES @ DAYS INN, WiFi. BEDS: 1 King, 2 Queen, 2 Single. Accommodates 6. NO PETS, NO SMOKING. This was the first time we have stayed on the marsh side and we loved it. We enjoyed the beautiful sunsets and the deer in the backyard. So convenient to the bike trail and historic district. Wonderful! Loved the house. We come to Jekyll every year. House was cute and perfect for a large family. Only complaint was the grill was a mess but other then that everything was to parr. Nice hardwood floors throughout. Nice Jekyll room, with excellent yard. Fans in Jekyll room inoperable, not good. Location is perfect as we've stayed all over the island and Old Plantation is now our area of choice, away from noise of ocean front hotel/resort, and two minute drive to beach! Bring your own board games, puzzles, cards, etc. as there are none in this house. If you cook, the house is very limited on pots, pans, dinner wear, utensils, etc. as well. Other than that beautiful home, especially for my elderly mother whom had her own master suite and loved the Jekyll room. Overall good stay. This is an absolutely wonderful place! Very spacious, clean and updated rental. We rent houses pretty much every vacation and I couldn't be more pleased with our stay here. I'm so used to finding outdated appliances, uncomfortable beds and tight spaced beach rentals, this was a very refreshing change of pace from the typical beach rental. We will be back! Thanks for the wonderful stay! Spent three nights at Seawings following our 3 nights in Savannah in May (week was not booked so we were permitted a partial week, which was greatly appreciated!) 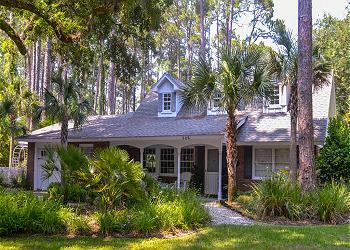 House was as advertised, great quiet location for a very restful stay in between biking, kayaking and horseback riding. This was our first visit to Jekyll and it was wonderful. Best place to stay on the island.